Monday means one thing, European gamers, Nintendo Download update time. News of what to expect on Thursday has arrived promptly this week and delivers a first-party puzzle game, a mini-game extravaganza on 3DS and a variety of racing, retro and discounted treats elsewhere. Let's get to the details. Dr. Luigi (Nintendo, €14.99 / £13.49) — Announced in Nintendo Direct late 2013, this Luigi-themed new version of the iconic Dr. Mario franchise includes new modes as well as online multiplayer and leaderboards. It delivers another solid Dr. title in the puzzle series, which we gave a solid recommendation in our Dr. Luigi review. Available from 15th January. 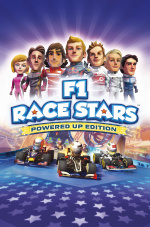 F1 Race Stars: Powered Up Edition (Codemasters, €24.99 / £19.99) — This was originally set to be an early retail release on Wii U, before eventually re-emerging as an eShop-only title due late last year. It now arrives on the grid a little later than expected and promises a light-hearted kart-racing take on the world's richest motor-sport event — the spiel for this promises four extra tracks and bonus accessory packs for this Wii U version. We'll get into gear and bring you a review. The Legend of the Mystical Ninja (Konami, €7.99 / £5.49) — When you mention Goemon to fans of retro games, especially Konami enthusiasts, you're likely to prompt a wave of nostalgia. This Super NES title is certainly well loved, an action game full of creativity that can also be enjoyed in co-op; we gave this a strong recommendation in our recent The Legend of the Mystical Ninja review. This is the European version of the game. Castlevania II: Simon's Quest (Konami, €3.99 / £3.59) — When this sequel was released it was a fairly dramatic departure from the original, aiming for a greater sense of adventure and discovery rather than linear stages. To this day it's divisive, and anyone stepping in will likely need to consult Miiverse and online guides to get past some of the more peculiar puzzles; we'll embark on the quest once again, but in the meantime you can check out our Wii Virtual Console Castlevania II: Simon's Quest review. Mario Party: Island Tour (Nintendo, €39.99 / £34.99) — The latest in the Mario Party series brings us the franchise début on 3DS; it includes seven boards, 80 minigames, a single player minigame tower, AR card features and local and Download Play multiplayer. There are some disappointments and forgettable modes, yet a core of fun mini-games helped this to a 6/10 in our Mario Party: Island Tour review. Available from 17th January. That's it for this week's update, Europe. Let us know what you plan to download in the poll and comments below. I think Contra 3 will keep me busy for this week. Definitely harder than Super Probotector. F1 looks ok but I'll wait for MK. WTF Konami!? Why did they release the american Contra III last week instead of the much cooler (and more nostalgic for most europeans) Super Probotector, and now the european version of Mystical Ninja when the american version is better? What were they thinking? Trine 2 may as well be on permanent discount now. Slowdown... Lots of slowdown in Contra 3 compared to European Super Probotector. No interest in Dr Luigi for me, I just wouldn't put enough time into it to justify £3+ so maybe later on sale. Will be getting castlestorm this week though if I can finish nes remix first....I have to clear at least 1 or 2 games for each new one I get to clear my back log in time for mk8!!! Is Goemon in 60Hz? I don't think it ever got a PAL release, did it? Phew! So nearly downloaded Trine 2 on Friday. Will definitely be downloading it this Friday however. I might get Trine 2. But I'm not sure, I still got plenty to play. "Dress to Play: Magic Bubbles!" for 89p? I think I some credit to use up on my 3DS. I'll probably get Mystical Ninja. It's one of those SNES games I've been meaning to play but haven't yet. To be pedantic, wouldn't it be an MD rather than a PhD for Luigi? Meh nothing this week. 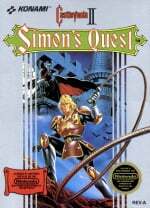 If I were interested in anything it would be Simon's Quest. Does anyone happen to know if F1 Race Stars will support off-TV play? If it does, I reckon I'll probably bite! I got the game for free on PS3 last year through PS+ but sadly, never got round to playing it before trading both my Sony consoles (PS3 and Vita) when I finally bit the bullet and bought my [beloved] Wii U and 3DS XL last November - I'm jolly glad I did too! Well, except for those 'free' PS+ downloads, of course! Oh and by the way, I must admit to being a smidge disappointed by Dr. Luigi's £13.49 price tag! Had it been say, £8.99 for example, I'd have been more than happy. Still, I know what I'm like, and I'll doubtless hit 'buy' in a moment of spontaneous madness come Thursday. It's what I do! @AcesHigh73 Agreed about the price. It's strange because while this was the same price as NES Remix in the US (both $15) whereas here NES Remix is £8.99 while this is £13.49. Brigette is still on an extended Bank holiday. Where's my Kid Icarus: Uprising for eShop...? Dr. Luigi is nice, Europe gets it now finally. Trine 2 has a nice discount, would get it, but I have their games already on PC so no need for second purchase. @JoakimZ Should just always be the best version. (Japanese version of Super Castlevania IV is the best one also). It is a strange choice because Legend of the Mystical Ninja came out so late most people who really wanted it would have imported it. (I didn't realise it ever came out until years later. The import version was reasonably available though in the UK). You should change the subheading to "Luigi gets his MD." In this game he's a medical doctor, not a doctor of philosophy. @CaviarMeths The first good console version of Trine 2 (60fps) is on the PS4. Whoa, Codemaster's F1 Race Stars is finally arriving! Hopefully it gets to the Americas this week as well. It's good that F1 Race Stars is coming, it's a shame it won't sell enough to warrant DIRT coming to the system as well. @unrandomsam So...in other words pick it up for the PC where it's cheaper and better. @Ernest_The_Crab I suspect it will be better than the PC version on Ati. (Regardless of the specs of it). Maybe it won't be it has never been 100% perfect for me at 60fps. @MAB Same reason you are not interested in Contra 3 - First console that can handle the game acceptably is the PS4. how does Trine 2 not run at 60FPS for you on PC? My PC runs it at 60 FPS no problems and I wouldn't really call my PC one of those modern high spec'd one. It's not like the came came out recently and requires a lot to play it. That's Sony propaganda at its finest. Remember when the PS3 was going to do 1 teraflop back in early 2006? Yeah, that didn't pan out either. A fiver says he's a gynaecologist. @element187 Who judge a console by a release games, which is also a simple port? The Wii U did run AC3 worse than 6-7 year old consoles. Hopefully this is the week NA gets sm3 or ltp...since we have all except f1 racers ...3 more days!. Still in doubt about Dr. Luigi, perhaps once it's cheaper. And maybe the F1 game, if it is any good. I'm tired of the drip-feed Virtual Console games each week. I feel like I'm reliving the Wii era of 2006/7 all over again. I'm not going to give Nintendo any of my money until they either release GameCube games on it, or start releasing 4 or more VC titles per week. @yuwarite - I know what you mean. It feels like deja vu for sure! I don't understand why they don't have a big team working solely on these which are unified as a single purchase across all of their platforms. Dear Konami. If you do not launch Castlevania, Ninja Turtles and Contra for WiiU will not see my money on any other platform. @unrandomsam I don't use ATI cards. Sure they're cheaper, but I find performance-wise and support-wise they are lacking compared to NVIDIA cards. You could have made the point to elementz a bit better as well. Instead of arguing about the architecture, you should have made an argument about the actual newness of the console. At the end of the day, I'd say it's due to developer laziness on both consoles, as smaller developers have had no issues with releasing games with good frame rates on either console. There is nothing interesting on the list for me this week. Fire Emblem Awakening is keeping me plenty busy anyway. @unrandomsam What are you talking about? The Wii U version of Trine 2 is amazing! @Blizzaga It is also locked at 30fps. (Problem that doesn't exist with the PC or PS4 versions). Graphics don't bother me when framerate is sacrificed for them it does. Lucky, you guys get Simon's Quest this week. Simons Quest eh? Divisive is a funny word for horribly bad. @capriboy Ninja Turtles won't come due to licensing issues. If F1 race stars ever makes its way to the 3ds I'm all over that! Disappointing week again Nintendo need to really take advantage of the e-shop a lot more and release more. 2014: The year I am not jealous of Euro eshop list. 2 for 2 so far! Nothing for me, Dr Luigi is far too expensive, and whilst I usually can't resist most discounts I think I'll manage this week. For the first time in ages I might give my 360 a go, got Far Cry 2 and Bioshock 1 and 2 for about £10 on live. wow Trine 2 for £5.50 i say to anyone get it ! i own trine 1 & 2 on ps3 and the Wii u trine 2 is the best version you can get it looks amazing and plays so well. Love Mystical Ninja!! Played it back on the Super Famicom, was hard in Japanese Does anyone know what differences are between the US version and European? Contra didn't come out last week, did it??? @Luna-Harmony No it isn't - The PS4 version is the best console version (Being the only 60fps one). Or you can get all the Frozenbyte stuff on the PC for $6. If the Wii U version had 60fps it might be worth getting it but it doesn't so it is not worth it in any universe. @MAB Slowdown? Really? I played through both Contra 3 (via an import cart convertor) and Super Probotector back in the day and didn't notice any difference whatsoever asides from the main sprites being changed from guys to robots....only have my Super Probotector cart nowadays though, so can't comment on the recent E-Shop Contra 3 download. @Le_Gazman Yes it did (only the first Mystical Ninja game though). I remember seeing it on sale in Game for ages but never had the cash to buy it at the time, shame as I've downloaded it on Wii VC since and really enjoyed it, as well as the Mystical Ninja Game Boy and N64 games that were also released over here. @FourBs Yeah, that's a massive problem with third party publishers and the Wii U at the moment. Basically, they're saying 'Buy these games that you don't actually want, otherwise we won't release Wii U versions of the games you do actually want.' It seems like donkey-backward logic to me, holding Wii U owners to ransom to make them buy ports of their substandard games in order to get better things. Though to be fair, it looks like a decent enough game...I'll be more tempted by it if it ever gets a discount. All the Castlevania games the Japanese version are the ones to get. (Especially Castlevania III / Super Castlevania IV). 20 $ for Dr.Luigi? Go away! Hey, don't knock Dr. Luigi. Dr. Mario used to sell for full price back in the day. Heck, Tetris used to sell for full price back in the day, $50 in 1990. @micronean You're right, but don't forget that an old boxed game can still worth money, and can also warm your heart with nostalgia! A "futuristic" digital download has no future! I wouldn't part with anything more than £1 to download a game. Freshair. F1 Race Stars was due out on disc, but Codemasters spat their dummy out. Codemasters take the mick with DLC. @unrandomsam Not a problem for me. The game plays just fine. A PhD is not necessary to be a surgeon.